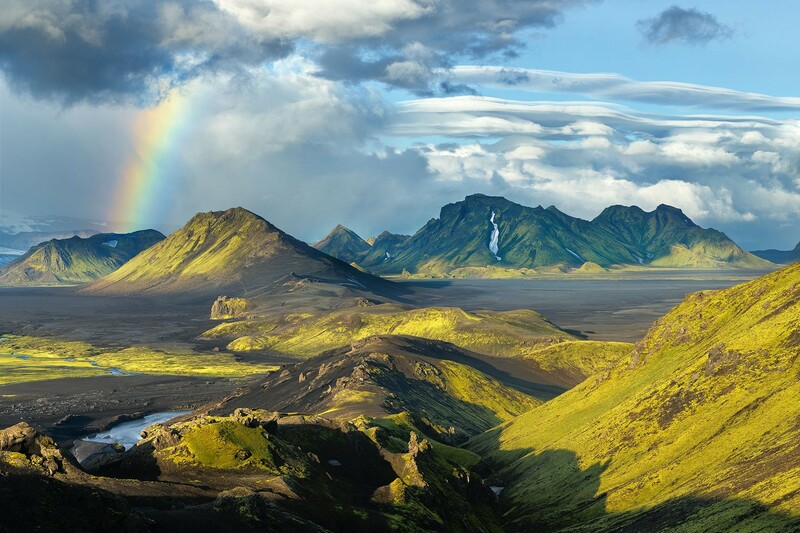 Spend 6 days hiking in the Icelandic Highlands through remote valleys and across open plains with some of the most incredible scenery imaginable. There are no cliches and no tourists. 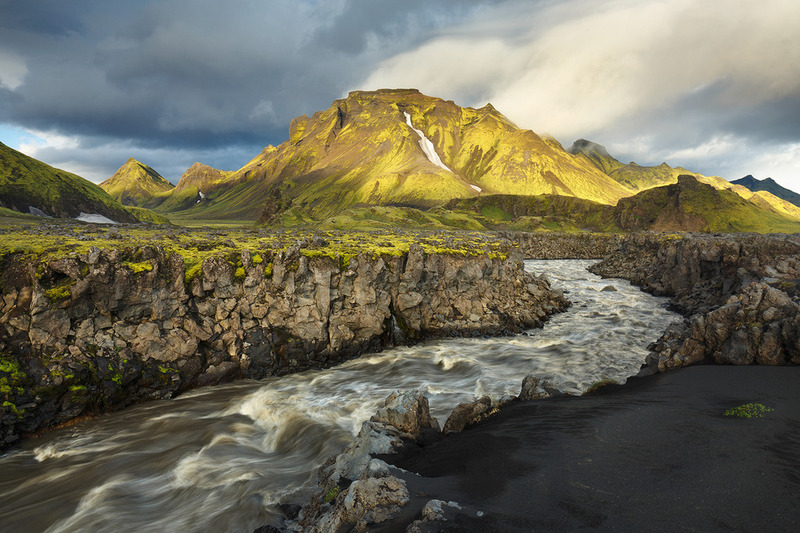 We'll be seeing an Iceland few have ever seen before and it will blow you away. This workshop is about discovery. 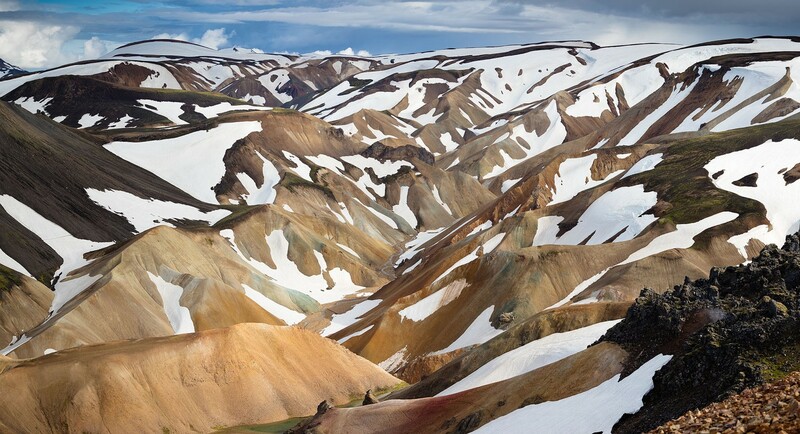 I have a detailed route plan to take you to world class locations in a similar area to the famous Laugavegur Trail. The difference is you'll have no preconceptions of what to expect - you're walking into the unknown but with an experienced guide. At the end of the trip we'll be taking a Super Jeep back to finish in style! I'm a qualified Mountain Leader with years of experience leading photographic hiking groups throughout the seasons in a variety of international destinations. 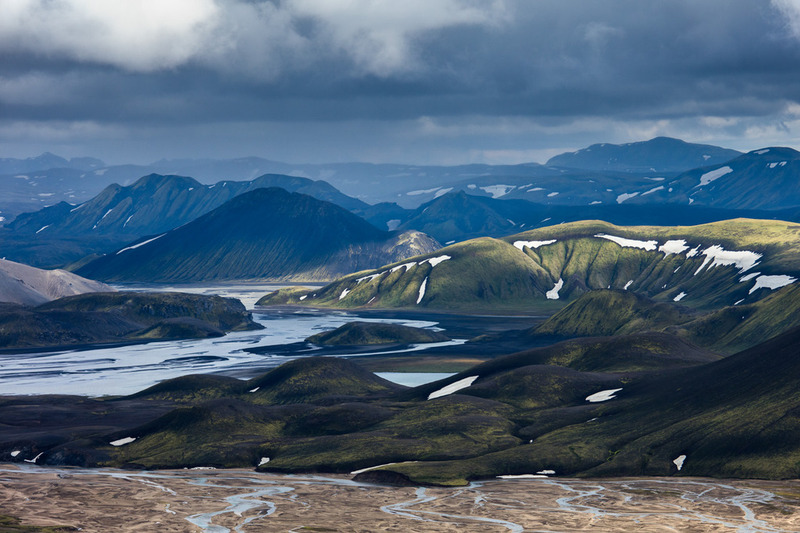 I've hiked all over the Icelandic Highlands so the terrain and weather are incredibly familiar. The kit I provide is the best available. You'll be in safe hands throughout giving you the freedom to explore at will. Friday - 6pm meet and greet at the Reykjavik campsite. I will dispense equipment and explain its use - camping at the campsite ensures we are all properly equipped before heading off!. Saturday - We will take a morning bus into the Highlands and start hiking on the first day. Sunday to Wednesday - Hike through Rhyolite hills and volcanic landscapes covering 10-12km each day and camping in remote locations. One of our camps we may decide to visit a wilderness campsite for a shower and refresh. Thursday - After a morning hike we will catch a Super Jeep back to Reykjavik - this will be a really fantastic way to finish our adventure! 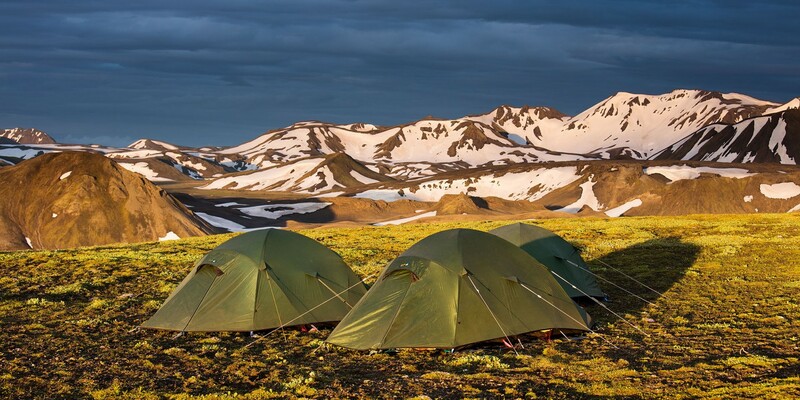 In the evening we will have a big meal to celebrate before staying overnight at the City Hostel in a private room..
You do not need prior wilderness camping experience to join this workshop. You will be provided with all the advice you need prior to the start date. This route can be completed by anyone with a reasonable level of fitness. The fitter you are, the easier the route will be, but you don't need to be a professional athlete to come along! I have guided many men and women of all ages and abilities over similar terrain. Each day we will be walking with our backpacks up to 12km. Whilst there are a few climbs and descents the route is predominantly undulating or fairly flat. We'll be taking a steady pace to make sure we can have a good time hiking as a group. I can provide the very best lightweight camping equipment perfectly suited to our route. This includes Terra Nova Quasar tents (sharing), Rab Neutrino 400 sleeping bags, NeoAir Xtherm sleeping mats and MSR Windboiler stoves. If however you would prefer to use your own sleeping kit, or bring your own mountain tent then you are welcome to. I will be sending out a detailed guide and equipment list once the trip is booked. 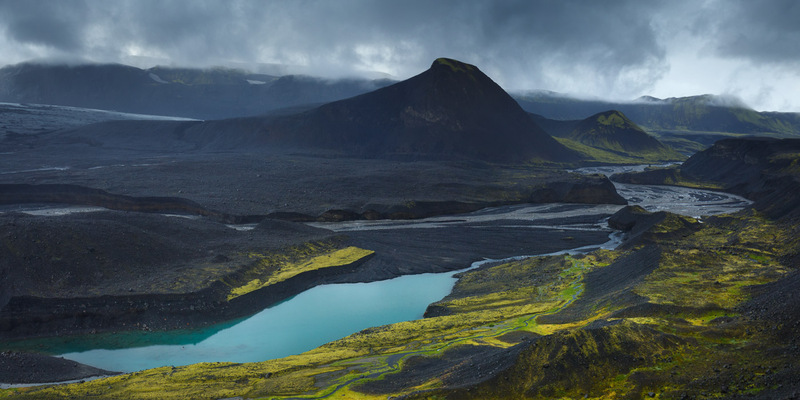 The trip does not include food (advice in the provided guide) flights or the bus transport from the airport to Reykjavik campsite (around £40 return Flybus+ ticket will take you to and from the Laugadalur campsite). You will also require travel insurance. This workshop is priced at £1050 with a £350 deposit required to book your place. The remaining £700 is due 3 months before departure.